Psychologica&REG; is a Corporate and Consumer Psychology consultancy based in Melbourne and Sydney Australia. We commenced in 1994 providing services as Edwardson Consulting and, from 1997, as Emotionworks&REG;. In 2001, after a period of significant growth, we consolidated and rebranded as Psychologica&REG;. The rebranding, developed in collaboration with Cobe Design in Sydney, marked the next stage of our development and future strategic direction by offering an integrated and expanded client service portfolio. 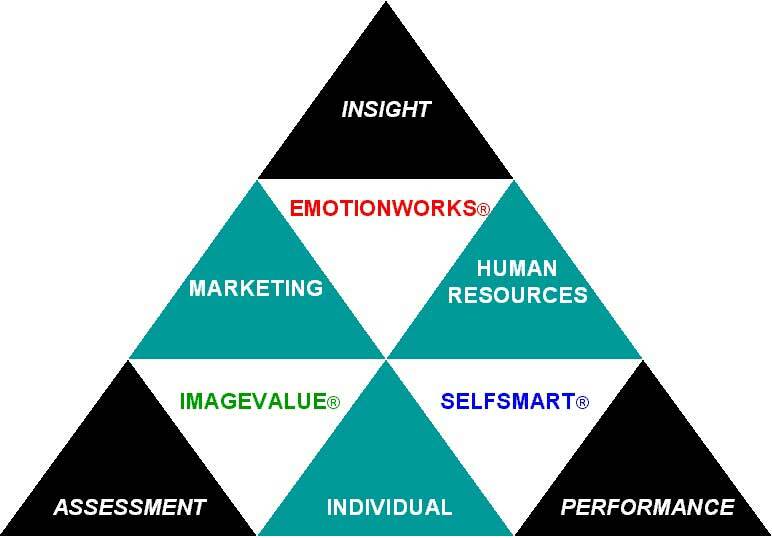 Emotionworks&REG; continues as an internationally trademarked service brand and is now one of three specific service areas within the Psychologica&REG; Service Pyramid. Importantly, we integrate our psychological consulting within a Services Marketing framework to ensure managerially and individually relevant solutions. Psychologica&REG; is an Australian Psychological Society licensed independent practice. We are a member of the Independent Researchers Group of the Australian Market and Social Research Society. EMOTIONWORKS&REG;: Understanding and Working with Emotion in Business &COPY; is a trademark and copyright of Edwardson Pty Ltd.
Management &COPY; is a trademark and copyright of Edwardson Pty Ltd.
EMOTIONWORKS&REG;: Hospitality: The Ultimate Customer Experience &COPY; is a trademark and copyright of Edwardson Pty Ltd.
EMOTIONWORKS&REG;: My Life...My Brand...My Experience&COPY; is a trademark and copyright of Edwardson Pty Ltd.